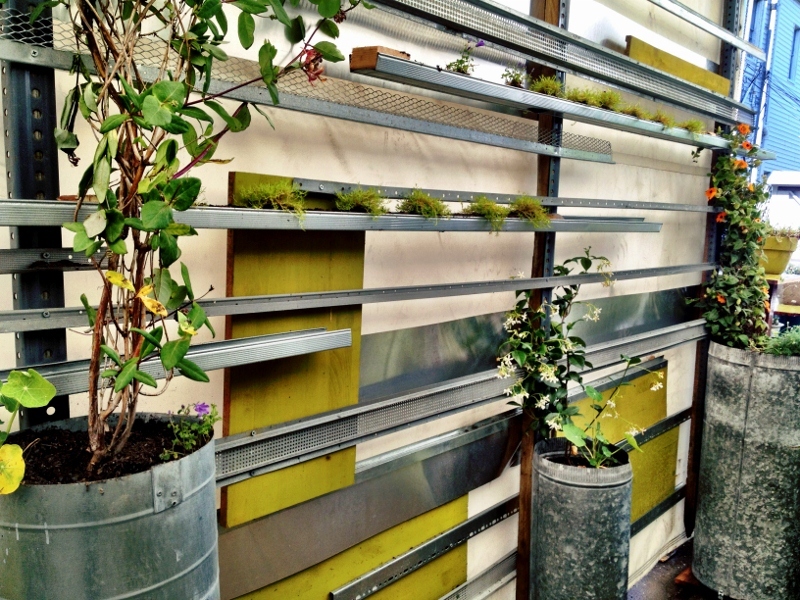 Like wood and other building materials, metal is a resource that is discarded en masse but can be easily, cheaply, and creatively rescued from the landfill and put to good use. 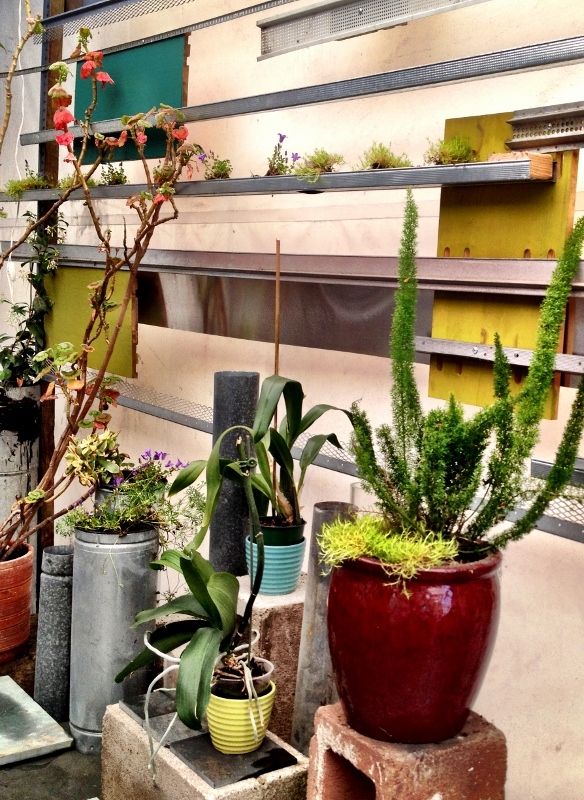 It is another texture that can be incorporated in garden design to either to complement or contrast with the more organic elements (aka, the plants!). 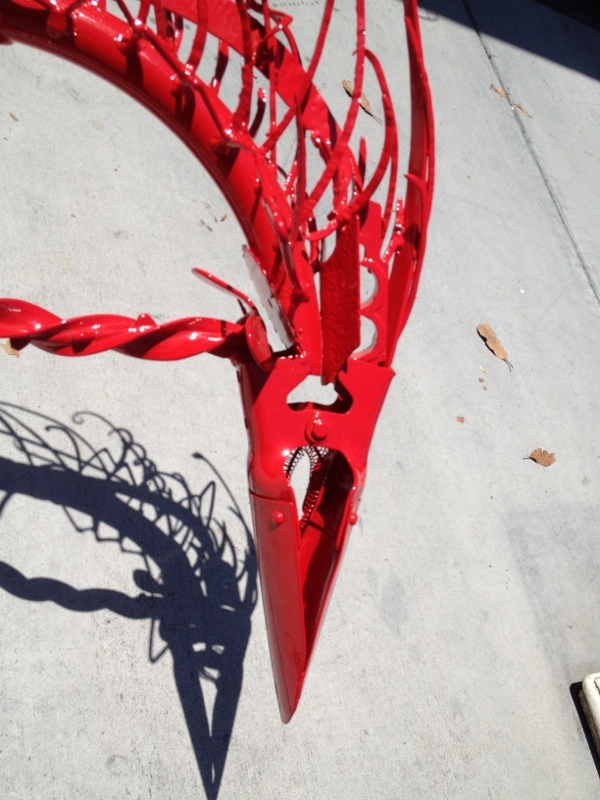 Metal is at once both artistic and functional. 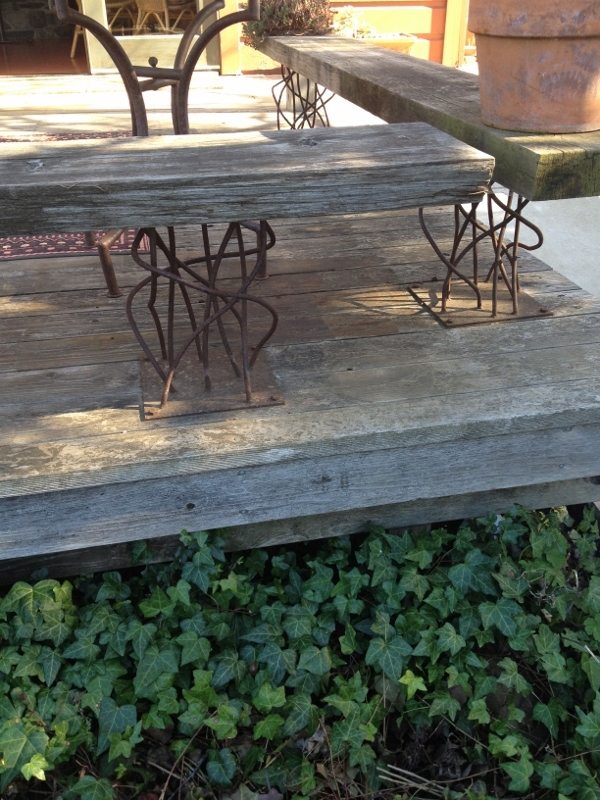 These simple wooden benches at the Boonville Hotel in Mendocino’s Anderson Valley have bases made of recycled twisted rebar. 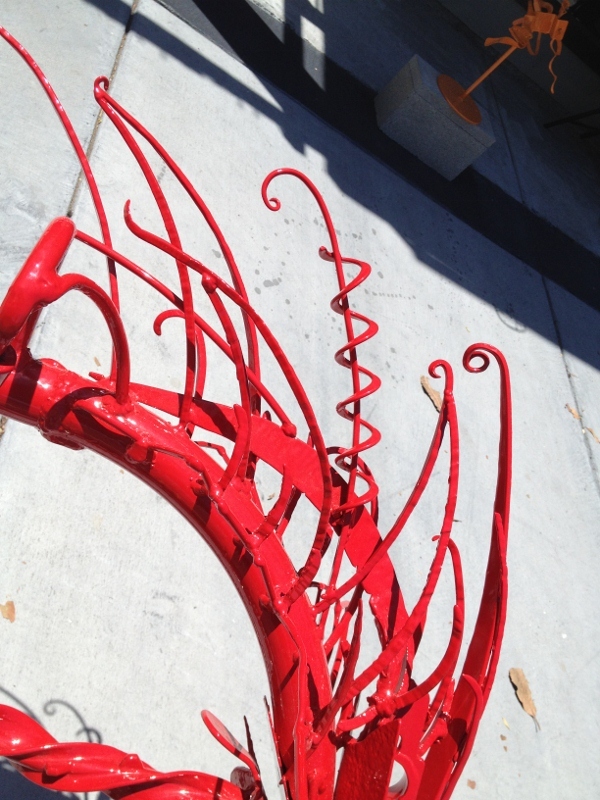 Anyone who’s ever tripped around a construction site knows rebar isn’t in short supply, and the possibilities with this bendy material (trellis, stakes, furniture, embellishments) are nearly infinite. 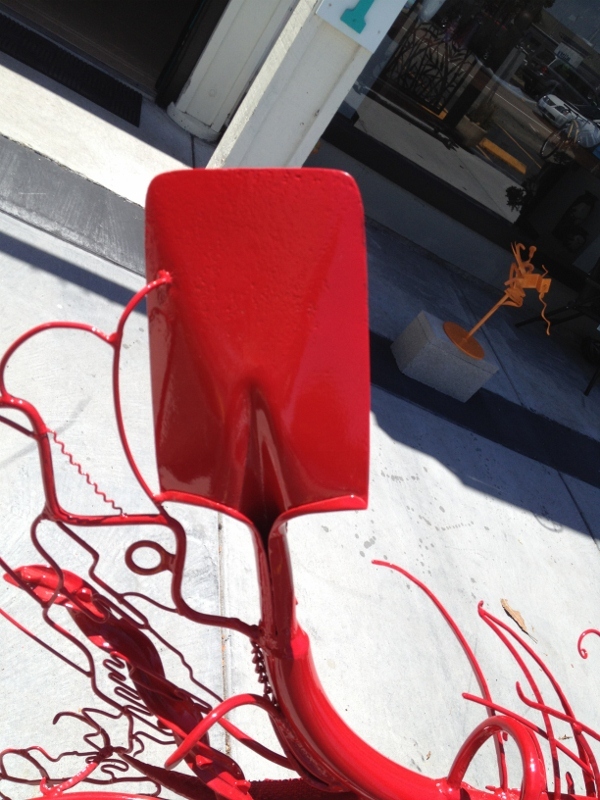 A fire-engine red sculpture made from, obviously, old garden tools (as seen in Sausalito, artist unknown). 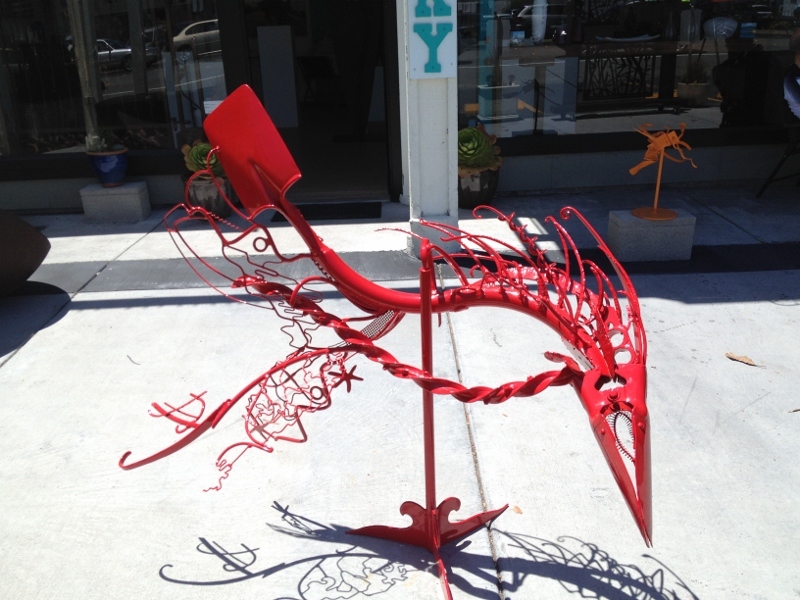 An artistic addition for a funky garden, perhaps?